Leading off is the traditional complete baseball uniform. 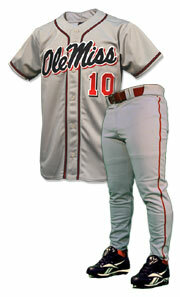 It's made from the best quality American made Visa polyester. 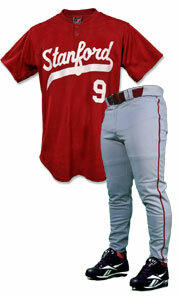 You can't find a better professional quality baseball uniform. 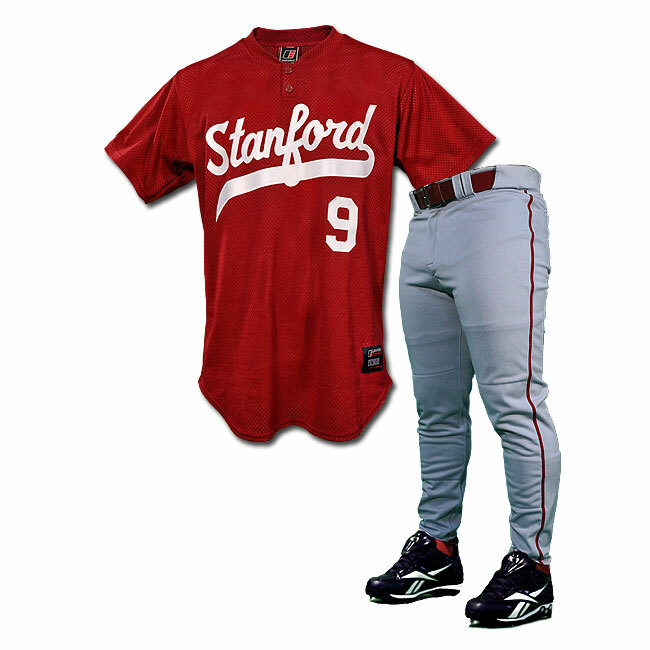 The complete set includes jersey 101-1, pant 201-1, tackle-twill (sewn) team name and back player number. 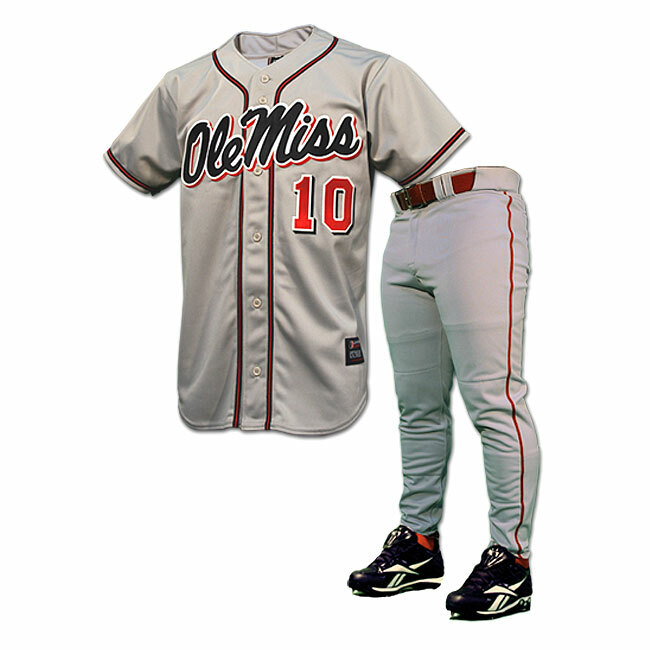 Like any great lead-off hitter this uniform delivers speed (guaranteed to deliver in as little as two weeks) and power. Same as the lead-off. The only difference is this jersey is sleeveless. 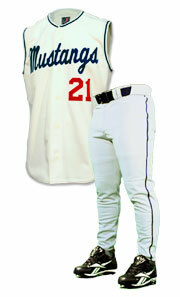 The complete set includes jersey 104-1, Pant 201-1, tackle-twill (sewn) team name and back player number. Everyone needs a solid three hitter. 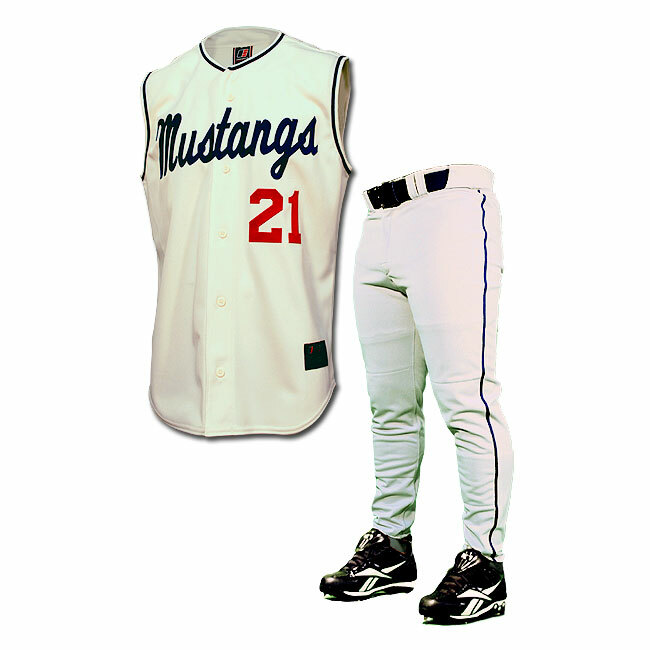 If you want a professional quality baseball uniform that is versatile, inexpensive, cool and durable this is a great choice. Our professional mesh jerseys are also made with the best American made fabric and they are available in virtually every team color. It too delivers in as little as 2 weeks. All lettering is tackle-twill (sewn) lettering. There are no letter limits for team names.